The building was built in the early 1800's by Colonel Joseph Jackson, the Iron King of Morris County, for his son, Stephen Joseph Jackson and his wife, Mary Ann Gleason, of Connecticut. Stephen Joseph was the son of Joseph Jackson and Elizabeth Platt Ogden, daughter of Robert Ogden. Robert Ogden studied law under Richard Stockton, one of the signers of the Declaration of Independence. A recently restored oil portrait of Stephen Joseph Jackson graces the mantle in the Library's main room. Mary Ann Jackson's enamel portrait miniature is on display in the Museum. Stephen and Mary Ann's daughter, Caroline Amelia, was married in the house. Caroline's cousin, Edmund Drake Halsey, son of Sarah Dubois Jackson and Samuel Beach Halsey, served in the Civil War. Edmund Drake and his brother, Joseph Jackson Halsey, are the subjects of the book, Brother Against Brother. Joseph Jackson Halsey married Mildred Morton, daughter of Jeremiah Morton, and resided at Lessland, an Italianate style house located in Orange County, Virginia. The University of Virginia houses the Morton-Halsey Papers. The Rockaway Borough Library is honored to house the Edmund Drake Halsey Collection of Civil War letters. Dr. and Mrs. George H. Foster purchased the house in 1885 from Colonel Jackson's granddaughter, Mary Jackson. The well-respected doctor had an office on the ground floor in the right hand wing. Mrs. Marie A. Menagh Foster was a gifted music teacher. In 1939, the late Mrs. Marie Foster, widow of Dr. Foster, generously willed their three-story residence to the Borough to be used as a library and museum, now known as the "Foster Memorial Library." The Library is also honored to house the collection of Allen Eaton Jenkins, a much-beloved employee of Dr. and Mrs. Foster, who left a trunk full of of his personal letters and photographs in the Foster residence. In 1975, the building was designated a National Historic Site. Today, the Library blends the latest library materials, services, programs, and technology with the charm, grace, and character of the past. 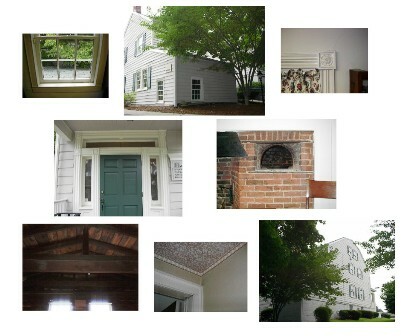 The exterior of the building has a gambrel slate roof, original clapboard, and brick chimneys and foundation. The windows are all 6 over 6 sash and many have the original hand-blown glass panes. The lower level features a brick fireplace with a beehive oven. There is a one-story leanto addition, originally used as a cool storage milk room. On the main level, note the simple yet graceful hand-carved mantle over the fireplace, as well as the delicately carved dentils and moldings around the windows and ceiling. The third floor features pumpkin pine wide plank floors. The attic framing is clearly visible being a reinforced queen-post truss form. The joints are mortise and tenon. The major beams are hand-hewn. The simplicity in ornamentation, use of symmetry and rather plain exterior, with the exception of the front entryway, is characteristic of the restrained Federal era style, with added Greek revival characteristics. With the financial assistance of a generous grant from the New Jersey Historical Commission, and the hard work and dedication of Friends and volunteers, the Library enjoys newly renovated and beautifully restored Museum Rooms. We sincerely thank everyone who has made this project possible. 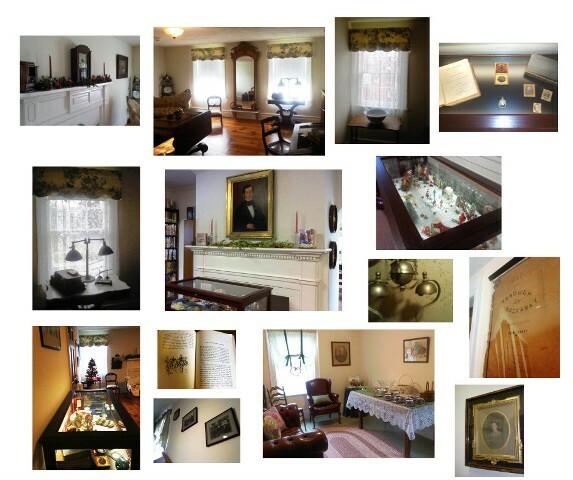 Collections include historic furniture, textiles, books, photographs, and artifacts from the families of Stephen Joseph Jackson and Dr. and Mrs. George H. Foster. All Museum policies and procedures are established by The Board of Trustees of the Rockaway Borough Public Library. Funding for the Museum is made possible by individual and organizational contributions. You may support the Museum by purchasing a Remembering Rockaway book for $15.00, available at the Library. The Friends of the Library are generous in providing financial support, as well. The Museum Rooms are open for visit by appointment only and are open for public visits during the holiday season and for special events.